Fast, professional and affordable pizza oven repair Bend, Oregon! We are professional pizza oven repair company. Our team repairs all brands and models of pizza ovens. That includes all the modern brands such as Alfresco, Tomlinson, Blackstone, Professional Series, Oster, Breville, Presto, Deeco, Camp Chef Pizza and much more. Our technicians are factory trained and certified. 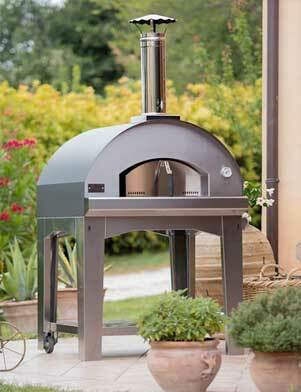 They are up to date on the latest trends in pizza oven design and technology. So, if your pizza oven is in bad shape, we can help. We will diagnose it and find the right parts for it. After we get the parts, our expert technicians will properly install them and trouble shoot to make sure that your pizza oven is performing perfectly. A pizza oven is a great appliance. It can give you restaurant quality pizza at home. A good pizza oven can last you a long time, but over time it may deteriorate in terms of performance. To make a good pizza, you need the perfect baking environment and precise heat. When pizza oven is not performing well, you will see a decline in the quality of your food. You need a professional to service your pizza oven and make repairs. We are such a professional. Our company specializes in pizza oven repair. We know pizza oven ins and outs, and we have access to all the genuine high-quality pizza oven parts. We guarantee that after an appointment with us your pizza oven will be as good as new. Our company have a great skill set and experience in the field of pizza oven repair. But also we also offer you an excellent customer service. Our technician is always professional, polite and helpful. They are eager to solve your problems and give you great results. We offer you a flexible scheduling including afternoons and weekends. 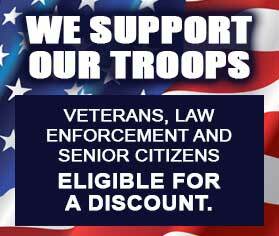 Also, you get a FREE service call with any work as well as a FREE estimate before any job. Our estimates are always right on target so you can be sure that you are not over paying. In fact, we try to keep our prices fair and upfront. Oregon Appliance Repair has more than 30 years of experience in the field of appliance repair. We are a family owned and family managed company. We serve a wide variety of local customers including commercial business and well as residential. No project is too big or too small for us. In fact, we are quite experienced at repairing and maintaining large pizza ovens for local restaurants and catering. Our service area extends to Bend, Oregon as well as Awbrey Butte, Culver, Deschutes River Woods, Forest Crossing, Geneva, Grandview, Madras, Metolius, Mountain View and surrounding areas. Appart from pizza oven repair, we also do refrigerator repair, washer repair, dryer repair, dishwasher repair, stove and range repair, oven repair, steam oven repair, microwave repair, freezer repair, ice maker repair, barbecue repair, patio heater repair and much more. In fact, we can repair any appliance in your kitchen or laundry room. There is not an appliance out there that we do now know how to fix. For example we fix all the most popular brands such as Asko, Bertazonni, Bosch, Dacor, DCS, Electrolux, Fisher&Paykel, Frigidaire, GE, Jenn-Air, KitchenAid, La Cornue, LG, Liebherr, Marvel, Miele, Perlick, Samsung, Siemens, Sub-Zero, Thermador, Traulsen, True, Viking, Whirlpool, Wolf and many more. Our skilled technician will be able to solve any of those issues or anything else. He will get the right parts for your pizza oven and will install them correctly. He will test your appliance to make sure it’s working properly. After our technician is done with your pizza oven, you can be sure that it will be both functional and safe to use. Customer satisfaction guaranteed. We even make sure to always clean up after ourselves and dispose of all the old parts. 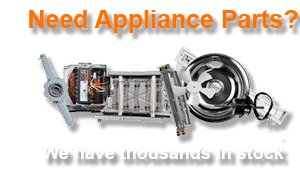 Our company Oregon Appliance Repair does an outstanding job in appliance repair. Our team is punctual, professional and very experienced in everything concerning pizza oven repair. We will be able to do the job right the first time, and we guarantee excellent results. In addition to getting top professionals, you are also getting an easy and convenient service. Our worry free scheduling will make any appointment fit into your schedule, and our technicians will not waste your time. They work fast because they know what they are doing. They will be able to fix your pizza oven so that it makes delicious and healthy pizza. We guarantee it. For pizza oven repair, please call us at 541-948-8835 or fill out our short contact form. We will be happy to set up a convenient appointment for you. Our friendly and highly skilled licensed technicians will soon be on their way to repair your appliances. We do pizza oven repair in Bend, Eugene, Portland, Central Oregon, Crook County, Deschutes County, and Jefferson County. We are professional pizza oven repair company. Our team repairs all brands and models of pizza ovens.